A former nurse at Vanderbilt University Medical Center in Nashville, Tenn., accused of inadvertently injecting a patient with a fatal medication dose has been indicted on charges of reckless homicide and impaired adult abuse, The Tennessean reports. 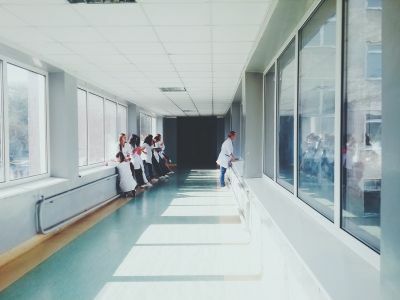 The nurse's error happened in December 2017 but was not publicly revealed until a CMS inspection report was released in November 2018. After the investigation, CMS threatened to suspend Vanderbilt's Medicare reimbursements but decided not to after Vanderbilt submitted a plan of correction. The plan has not been made public. The nurse, Radonda Leanne Vaught, was indicted Feb. 1, according to the Tennessee Bureau of Investigation. That report said the nurse, who at the time was not identified, meant to give the patient a routine sedative but instead injected vecuronium, a powerful drug for keeping patients still during surgery. The drug was given to the patient, who was put into a body scanning machine before staff realized a medication error had been made. The patient was left alone to be scanned for as long as 30 minutes before staff realized the patient was not breathing and medical staff began performing CPR, according to the federal investigation report. The drug appears to have caused the patient to lose consciousness, suffer cardiac arrest and be left partially brain dead. She died a day later after being taken off a breathing machine. A hospital spokesperson said the hospital acted swiftly after the patient's death, including taking "personnel actions" and notifying the patient's family. "We have cooperated fully with regulatory and law enforcement agencies investigating the incident," the spokesperson said Feb. 4 after the indictment became public. "That includes providing background information about the event itself, along with physical evidence, requested health records information and other documents."